Great links for you to learn Portuguese. Great resources for Portuguese learning is what you will find on this page. I have carefully selected a great range of sites available, just for you to learn Portuguese. The reason why I do this is because I want you to have access to the maximum exposure possible. You want to learn Portuguese, right? You want to take it seriously, right? So do I. And this is the reason I'm writing this page here. I'm making your life easier, because I know that sometimes we want to do something but we don't know where to start. 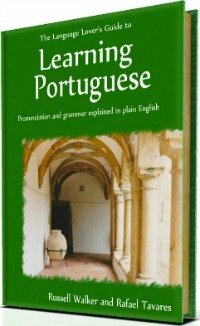 So, in the following links you'll find complementary resources for Portuguese learning that will help you to learn Portuguese. Explore them and come back. You can also let me know here in case you haven't understood something that you have found interesting from other sites. Remember, together we'll get there. I want you to learn Portuguese quickly! So here you have my selection, enjoy! This site presents Brazilian Portuguese podcasts explaining grammar in Portuguese. this is a Pay Site, but you can have access to some free podcasts as well. A lively introduction to the language in ten short parts with slide shows and video clips set in Portugal and Brazil, useful phrases with sound and quizzes. A site with grammar and everyday phrases. A handy site that also includes reading resources, sound files, and useful media links. A multimedia educational resource for on-line learning. This is a site where you can understand more complicated aspects of Portuguese grammar. This site is all written in Portuguese. 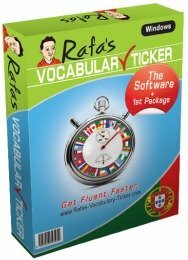 This great site where you can practice your listening, reading and writing skills in Portuguese. This site is also written in Portuguese only. This is a comprehensive site for Brazilian Portuguese with free lessons, videos, poems and songs. 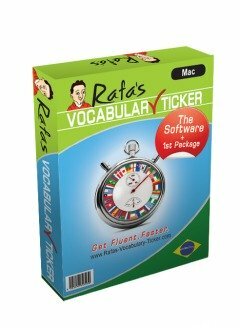 Charlles - this website author - has included written texts in Portuguese and everything is well explained in English. This is an excellent free site built by Russell - an English native speaker who's an enormous passion for Portugal and the Portuguese language. It also has amazing free goodies and blogs to enhance your learning. Another excellent website built by Sonia - a Brazilian who has also a great passion for the Portuguese language. Sonia is also developing Portuguese for kids. If you are Chinese or speak Chinese, and want to learn Portuguese you may want to check out this interesting website. And that's it. I hope you enjoy these resources. If you find a good site that you think others could benefit from, please let me know. Go Back From Resources for Portuguese Learning To Resources.